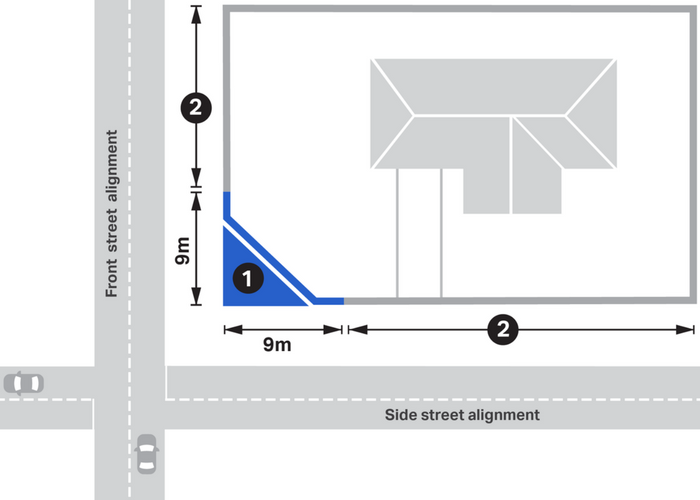 Refer to your plans to determine the height and location of the front fence. within 9m of the intersection of front and side title boundaries. Could the height and location of the front fence make it a possible obstruction to views of traffic? If yes, apply for Report and Consent and a Building Permit.